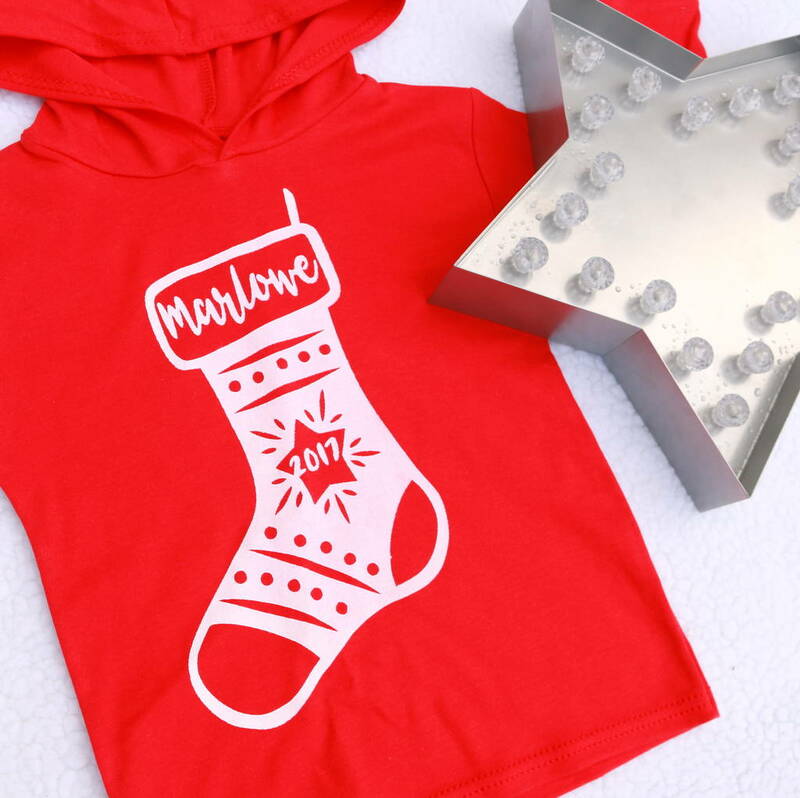 Our personalised christmas stocking T-shirt/ hoodie is perfect way to get your little one festive this year. 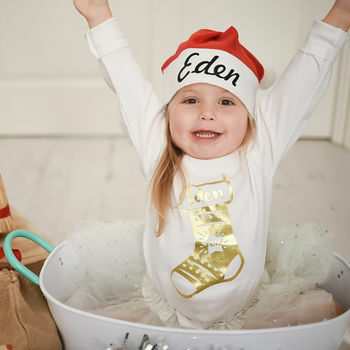 Our personalised kids t-shirts make the perfect new baby Christmas gift, baby shower or Christening present for that little someone. They make a great outfit for family chirstmas photos or a comfy top to wear while creating your festive memories. 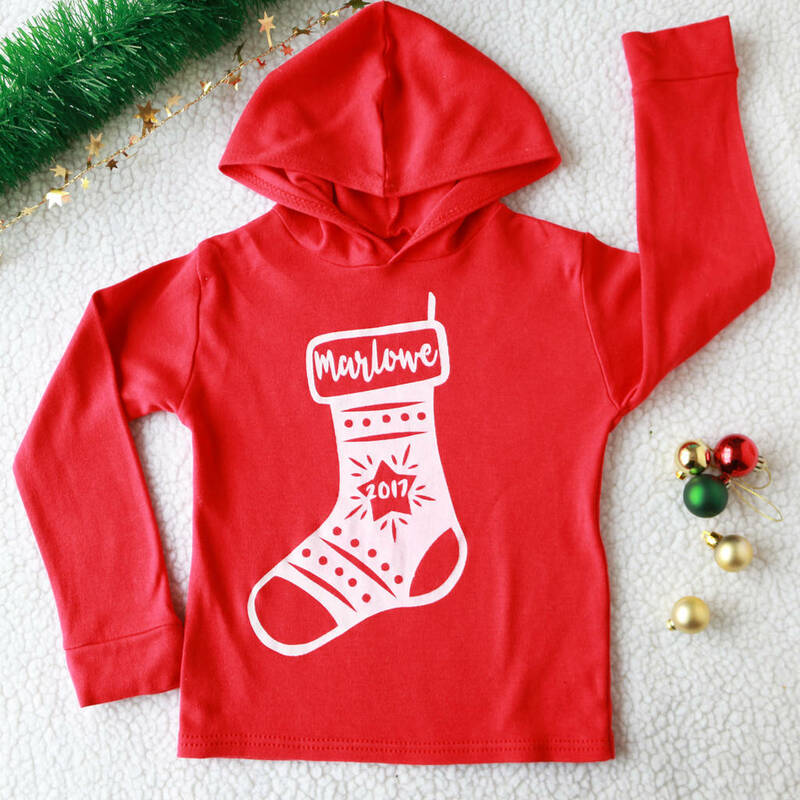 Available in a raglan, long sleeved tee or light weight cotton hoody in festive green, red, grey, black or maroon. 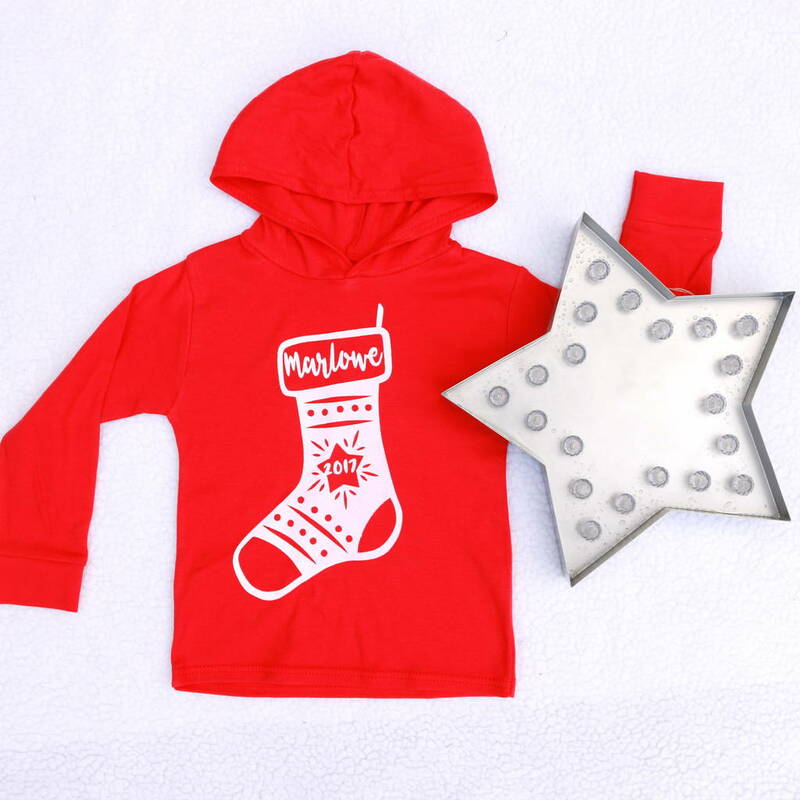 Also available on sweatshirts, baby vest and sleepsuit rompers. Please visit our store front to find these listings. 100% cotton and hand screen printed with eco friendly water based inks in our east london studio. Foil printing is also available in this design. Please note foiled items should be washed at 30 degrees or lower and the print cannot be ironed on. Foiled items are hand printed using textile glue and foil, due to the nature of this handmade process there may be small inconsistencies in the print.